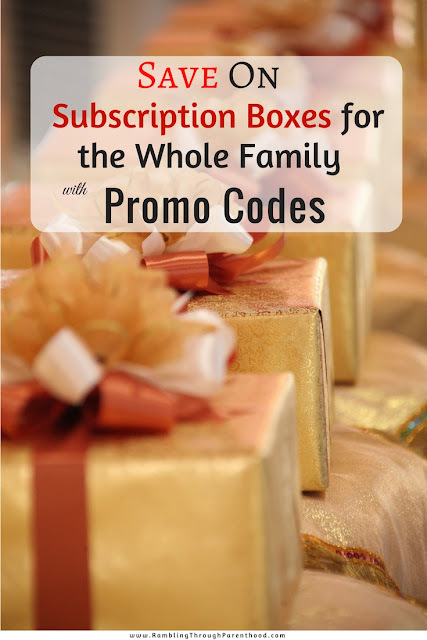 You can pick and choose unique subscription boxes for every member of your family. And contrary to opinion, subscription boxes can be very affordable, with a promo code from couponcause.com! · It’s convenient because it’s all done online and you can order a one-time box or a recurring subscription for a specific period of time. · It’s fun and exciting because the receiver will get to enjoy new products not yet available in the market. · It’s practical because some subscription commerce companies offer an exchange program. · It’s affordable when you use discount coupons. Men are notoriously tricky to buy presents for. It’s not that they are picky about the gifts they want; it’s more about finding a gift that they will appreciate and use. Signature boxes from Bespoke Post are great if you are in the US or Canada. Not only can you get a discount coupon for this subscription box, the company offers unique and one-of-a-kind products that can turn into conversation pieces. All you have to do is fill out a profile questionnaire, which helps pinpoint which of their many products the man in your life would love to have this holiday season. If you are in the UK, choose from a wide range like Toppbox, Lifebox or Me, My Suit & Tie. There is a wide range of subscription boxes for Moms in the US like Treatsie, FitLifestyle (where you can also get something for Dad), 21Bundles for new mums and Passport to Beauty, which pack beauty products from around the world. For us Mums in the UK, there are lots of options to choose from. The more popular ones include Degustabox, Birchbox and Mintd. Choose a one-off gift box or surprise Mum with a subscription that extends into the New Year. Most “boy boxes” are segregated according to age. Bluum is an amazing subscription box for toddlers. It has all sorts of fun and safe toys for little boys. Some of the items come from other countries so can be very educational and not those you would find in your local toy store. Moreover, a current discount code will award you with a whopping 65% discount on the retail price! A Weekend Box full of arts and craft activities, My Geek Box and The Willoughby Book Club are fantastic option for young children based in the UK. An older brother might love Battlebox, a survival and tactical gear box. This subscription has four options: Basic, Advanced, Pro and Pro Plus. For pre-teen to young gamers, Loot Box is an incredible choice. Their boxes contain exclusive products of pop culture items, including t-shirts, wearable accessories, housewares and toys. Some of the brands they have carried in the past are Marvel, Deadpool, JK Rowling, Nickelodeon, Minecraft and even Sanrio. Sisters or daughters also have to be age appropriate, although subscription boxes like Owl Crate, which specializes in books, might work for girls of all ages. Each Owl Crate box will be curated according to a profile you fill out so it can be mystery, romance or adventure, depending on the genre you choose. Other options might be Treatsie, which is a box full of artisan sweets from small batch confectioneries around the country, or a Penny + Grace subscription box for gorgeous, dainty, everyday jewelry. Miss Dreambox and Bettybox are available if you are UK-based. This is by no means an exhaustive list. These are just a few suggestions to get you thinking of subscription boxes as a viable gifting alternative. With so much on offer, there really is a subscription box out there for everyone. Which one will you get?